It is a city known for its awesome architecture and a cultural scene that’s second to none in Germany. 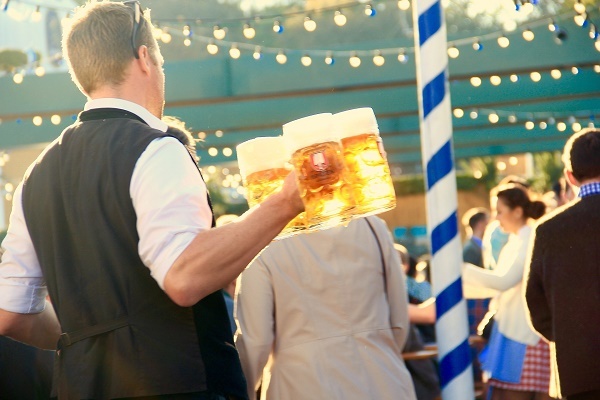 Home of the infamous beer festival Oktoberfest, Munich is indeed a cosmopolitan hub that offers expats a bevvy of beautiful sights, wonderful work opportunities, and an exciting plethora of recreational activities. Aside from being one of the country's majestic tourist sports, Munich also happens to be the third largest city in Germany. It stretches through a land area of 518 square kilometres. Munich is the capital of Bavaria, one of the oldest states in Germany. It is traversed by two local rivers, the Isar and Würm. The heart of the city's oldest section, called Marienplatz, lies on the west bank of the Isar River. This is where you can find the Residenz, the former royal palace of the Wittelsbach family. This family ruled the state of Bavaria for more than 700 years. The name Munich means the ‘home of the monks', most likely due to the group of Benedictine monks who established a trade and market centre there back in 1157. The city sits on an elevated area 520 meters above sea level, with the splendid view of the Alps as the backdrop to its lively cultural scene. Munich has what is called a continental climate, which means very warm summers and really cold winters. Summer starts in May and ends sometimes September, and the temperature peaks at about 23 °C (73 °F) in July. Winter begins sometime in December and ends in the month of March, the coldest month being January. A city as large as Munich is also hosting a large number of inhabitants, although a considerable portion of the population does not hold German citizenship. The city's population doubles about every 30 years, adding to that the strong presence of Turkish and Balkan communities. The city has about 43,309 Turkish inhabitants, 30,385 Albanians, and 24,866 Croats; making the foreigner population in Munich 37%. The Munich population was generally Roman Catholic in religion, however, based on recent surveys, a growing number (about 47.4%) of the people are not affiliated with any religious group. The city is now 38.3% Roman Catholic and 14% Protestant. There's a good reason why Germans and foreigners alike prefer living in Munich. And it's definitely not just the annual Oktoberfest. Munich also happens to have the strongest economy in Germany and the lowest unemployment rate (5.6%) despite its considerably large population. Considered a global city, the city is not only home to big company names such as Siemens and BMW, its inhabitants also have the highest purchasing power in the country - pegged at 26,648 Euro per person. There are different kinds of visa depending on the length of stay and purpose but the application fee is generally the same at 60 Euro. You may visit http://www.auswaertiges-amt.de/ for more information on visa requirements. Heed the common expat advice when moving to Munich: bring clothes to keep you warm and an umbrella to keep you dry. And like in any other European city, you are expected to do a lot of walking, either to go sightseeing or as part of your daily commute. Cobblestone streets in Munich are not heels-friendly, so for women who expect to do a lot of walking daily, go to work in flats and just change to more formal heeled sandals or shoes when you get to your destination. Goods can be expensive in Munich, so if there's anything in particular that you prefer to have a lot of, you may want to bring an extra big stock to avoid buying them for a higher price. For gadgets, the two-pronged cylindrical ones are used in Munich, so make sure to have your electronic appliances ready with an adaptor for immediate use. Expats get attracted to Munich because of the splendid sights, the great beer and beer fests, and the robust economy. Indeed, an irresistible combination. 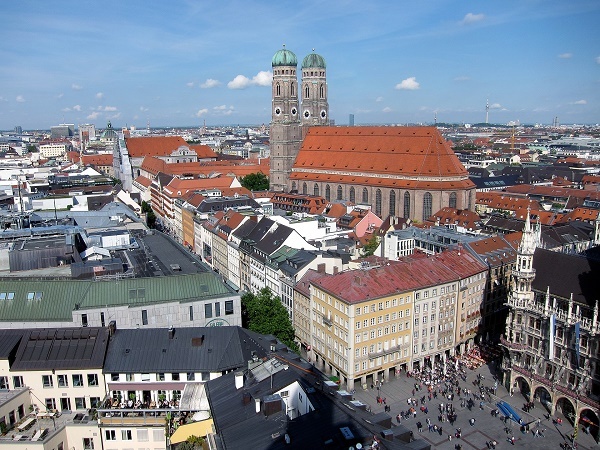 Munich is Germany’s third largest city and boasts itself for having a charming ambience and prosperous economy. Walking its streets is like being on two different timelines at the same time. While you marvel at its modernised infrastructures, you will also deeply feel the city’s beautifully preserved culture. Amidst the towering multinational business, offices are historical sites and museums that showcase Munich’s colourful heritage. You can also look forward to countless possibilities that can be achieved in Germany’s strongest business hub, where there is a job opening in the main sectors such as software development and biotechnology. With all these reasons, how can you possibly not believe and get enticed with the city’s motto: “Munich Loves You”? So if you’re ready to love this city back, read the following helpful guidelines that can help you in relocating. Finding a house/apartment in Munich is a bit hard, so it's best that you start your search even before you relocate. There are online portals that contain rental advertisements in the city including their locations and prices. You can start going through these websites and creating your list so when you arrive, you have an idea where to start and how much to prepare. Once you get to the city, you can contact local realtors to help you with your search. They can also assist you in communicating with the landlords if you do not speak fluent German. You need to give the real estate brokers a document that states what particular type of property and neighbourhood you are looking for. If they find any that matches your needs, they will contact you to schedule a viewing along with other people who are looking for rentals as well. Your utilities like water, gas, electricity and garbage collection are not usually included in the rental payments and can cost around €250 monthly. There is also another service like an Internet connection which is around €25 per month and mobile connection where local prepaid calls are billed at €0.10 per minute. The competition in Munich’s housing market is a bit tough because of the growing population of expats. So once you find a place that best suits your needs, it's best that you schedule a viewing or talk to the owner right away since many others are on the waitlist. Landlords pick a tenant on the pool of applicants, and you need to provide certain documents like a copy of your passport/ID, pay slip or work permit and your contract of employment. To secure a unit, you need to pay a security deposit which usually amounts to one or three month’s worth of rent. The typical lease agreement lasts a year, but you can negotiate between a short term and long term rental depending on your planned length of stay. Most expats in Munich are living in modern, westernised apartments in the city centre where the cost of a one bedroom unit starts at €980 per month and €2000 for a three bedroom flat. You can also find accommodations on the outskirts where a one bedroom apartment typically costs €750 monthly, and a three bedroom unit is around €1400 per month. A huge number of expats are studying in international schools like the Munich International School because of the language barrier. Most of these institutions are equipped to continue the curriculum from your home country and only accommodate a small number of classes which ensures that your children will get the right amount of attention for learning. Education in Munich is mandatory for all children between the ages of 6 and 15. There are also public and local schools in the city that uses both German and your mother tongue in teaching. One of the most established local institutions in the city is the Ludwig Maximilian University of Munich which was founded in 1472. Once you’re finished going through your belongings and deciding which ones to bring, it's best that you contact experienced movers to help you in bringing your stuff to Munich. Many international shipping and removal companies provide door to door service where they will pick up the packages from your address and ensure its efficient to delivery to your new home abroad. Munich is a landlocked city so all containers are scheduled to arrive in the Port of Bremen within 9-17 business days, depending on your country of origin. To learn more about the city’s import procedures, click here. Your pet needs to be identifiable by a microchip when entering the Munich territory. You also need to secure its Rabies Vaccination Certificate, International Health Certificate and EU Health Certificate for customs purposes. Make sure that these documents are filled up and signed only by a licensed veterinarian from your origin country. You can experience a very exciting lifestyle once you arrive in the city. After being busy the whole week for climbing the corporate ladder, you can spend your weekends and spare time going around Munich’s many attractions like high-end shopping malls, world-class restaurants and famous nightlife. But if you prefer a more relaxed vibe, there are also the beautiful outdoor scenes that you and your family will enjoy. Munich has always been regarded as one of the most liveable places in Germany which explain why more than a fifth of its inhabitants are foreign-born. The capital of Bavaria is not just an economic powerhouse but also a place famed for its ability to maintain its rich cultural heritage. Expats bound to Munich will soon find out why it is fondly called by many as the city of ‘laptop and lederhosen’. The third largest and capital city of Germany is home to 5.8 million people. Its most popular event is the Oktoberfest which attracts tourists from all over the world. The city is also known for having most of the major historical museums, theatres and oldest universities in Germany. Aside from those, Munich is also the headquarters of some of the world's leading multinational technology companies such as Siemens AG and Red Hat. As mentioned earlier, this city is highly diverse, and almost 37.7 percent of the population is composed of individuals with an international background which makes it an attractive place for living for expatriates. We may know Munich as a place good for beer and a good place for friends to hang out but, it is also, in fact, a place for families to spend some time together. The world-famous, Legoland is located in Munich together with all other theme parks such as the Playmobil Fun Park, Bayernpark and Marchenwald fairytale forest. Aside from the many theme parks to discover in Munich, kids who also love Disney would be thrilled to see the real-life Disney’s Sleeping Beauty Castle known as the Neuschwanstein Castle. 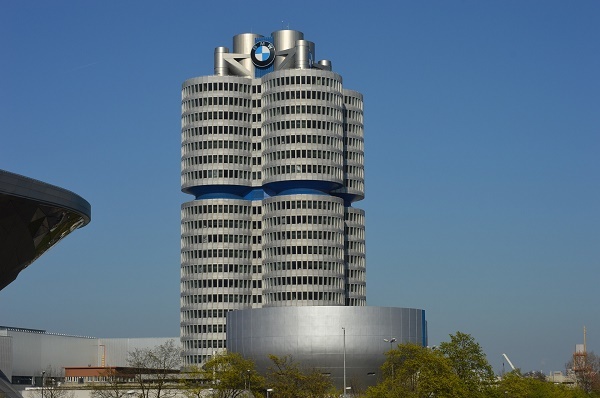 The three ring roads in Munich are the autobahn, A99, Altstadring and the Mittlerer Ring. However, for expats, it is not advisable to get around in the city by car since traffic is heavy most of the time particularly during rush hour. Foreigners who are new to living in the city and would like to meet new people to alleviate their culture shock may also consider car sharing or carpool which is an alternative that is becoming popular in Munich lately. For a foreign national to open a bank account in Munich, it is necessary to secure a resident card first. Expats would find it that banking in Germany is sophisticated and relatively easy. Because of this, many of them opt to open a local bank account in the city. Aside from the resident card, expats are also required to provide a proof of address and their passports. The major banks in Munich are Bayerische Vereinsbank, Commerzbank, Deutsche Bank, Dresdner Bank, Landesbank, and Postbank. How are you? - Wie geht es Ihnen? What’s your name? - Wie heissen Sie? My name is.. - Ich heisse..
Have a nice meal - Guten Appetit!